Did cotton cause the American Civil War? Blog Archive » Finance in answersDid cotton cause the American Civil War? Did cotton cause the American Civil War? Cotton is a soft fluffy fiber that is spun into yarn or thread to produce different kinds of textile products. It is in fact the most widely used natural fiber in clothing today. It is also used in fishing nets, coffee filters, tents, cotton paper and bookbinding. With its variety of uses cotton is considered a vital commodity in the world market. Do not be misled by its benign nature as it is intricately connected with the bloodiest and costliest chapter in American history – the Civil War in the 1860s. Bloody because more than 750,000 soldiers died during the four year war and costly because it left much of the Southern states’ infrastructure in ruin. Abraham Lincoln, a staunch anti-slavery advocate, was known for his strong opposition to the expansion of slavery in the United States territories. The American Civil War, also known as the War Between the States, occurred from 1861 to 1865 between the Northern (Union) and Southern States (Confederacy). It was precipitated by the declaration of the Southern States to secede from the United States of America and the formation of the Confederate States of America. The secessionists were originally led by seven states which economies were largely based on the production of cotton and characterized by numerous cotton plantations that were dependent on slavery to operate effectively. According to the historians, the exact causes of the Civil War appear to be complex and controversial; it has alleged roots in political, economic, social and psychological factors. In the midst of all these, however, a central theme persists—cotton and slavery. The rise of the so-called Northern abolitionist movement in the 1830s questioning the moral and ethical acceptability of slavery led to efforts by anti-slavery forces to contain slavery and stop its expansion. The hope was that it would gradually become extinct, which did not sit well with the Southern States whose economy was primarily dependent on cheap slave labor. The South enjoyed long hot summers with rich soils ideal for growing cotton. With its flourishing cotton industry, the slave states remained almost entirely agricultural with economy and social order founded on slavery and the plantation system. With readily-accessible low-cost manual labor the South saw no urgency for industrialization unlike the North, which had mixed agricultural and industrial economies. 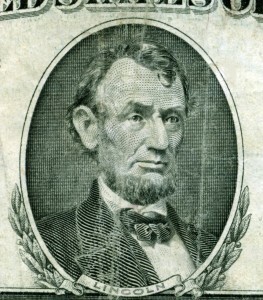 Abraham Lincoln, a staunch anti-slavery advocate, was known for his strong opposition to the expansion of slavery in the United States territories. His victory in the 1860 presidential election was the final trigger for secession by the Southern states. The slave states knew that the abolition of slavery would inevitably result to the collapse of their cotton-based economy that is widely dependent on the availability of slaves. More cotton meant more slaves were needed to pick it. No slaves meant no cotton. The economic equation was that simple. The Confederacy was so confident on the power of cotton that it used the “King Cotton” slogan to mobilize support for its secession movement. After all cotton accounted for 60% of all American export in 1860 just before the American Civil War erupted. Europe was then heavily dependent on cotton because of the Industrial Revolution, with machinery and factories processing large volume of raw cotton into clothing. When the war broke out the Confederacy even used cotton embargo to apply pressure on Europe hoping that it would intervene on its behalf. This tactic however failed. The Union naval blockade ultimately prevented the South from marketing its cotton and effectively crippled its economy. The South lost because it blindly held on its belief that Cotton is the King. History experts may put forward complex and elaborate dissertation of the American Civil War and its causes, which eventually obscures its real nature. In truth, the conclusion is plain to see and understand, i.e., the Confederacy lived and died because of the cotton (economy); more than 750,000 soldiers and countless innocent civilians died because of the cotton; the Union defeated the Confederacy by controlling and restricting the cotton; and lastly the American Civil War broke out because of the cotton. ← What are the most common hidden costs of a credit card?